Expectations may need to be tempered by people and organizations seeking new or increased state spending in the 2020-21 biennium. 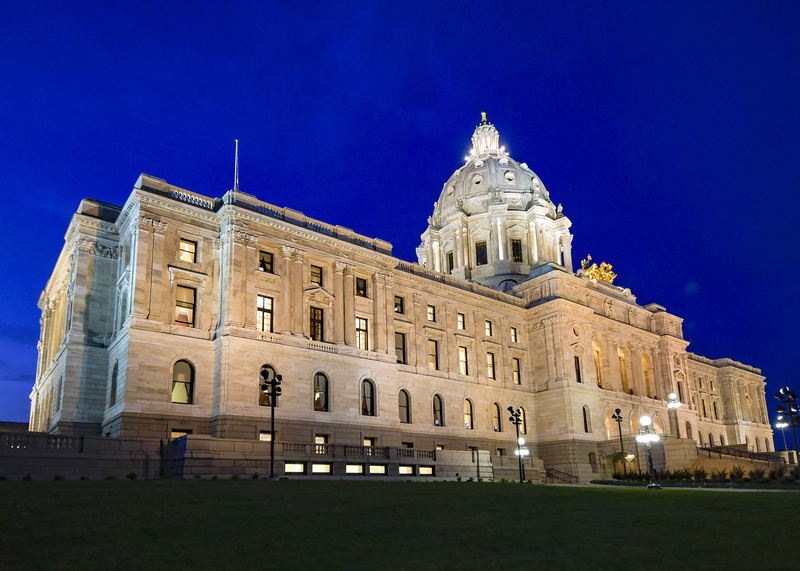 While the state’s $1.05 billion projected budget surplus for the 2020-21 biennium may sound like good news, that’s a $492 million decrease since November, Minnesota Management and Budget officials announced Thursday. Commissioner Myron Frans called the 2019 February Budget and Economic Forecast “a cautionary tale” because while a positive balance is nice, state leaders must be cautious in how they proceed. The projected surplus was $1.54 billion when the agency announced numbers three months ago. Required by state law, the February forecast is one of two annual budget indicators released by the state after finishing a collaboration between agencies and economists who follow state and national trends. Legislators will use the forecast numbers to help shape policies for the remainder of the 2019 session, which must end by May 20. The Easter/Passover break will begin Saturday, April 13, and go through Monday, April 22. House offices will be closed April 19. * Also on Facebook Live: www.facebook.com/MNHouseInfo/ *. Also available on Facebook Live: www.facebook.com/MNHouseInfo/. Review House and Senate offers thus far to resolve differences between House and Senate bills. Testimony from Noah Praetz, Former Director of Cook County Elections in Illinois (2013 - 2018) and an Adjunct Professor at DePaul University College of Law teaching Election Law. - Mr Praetz will testify on his experience with Cook County when the Illinois voter registration database was breeched by the Russian government. Consider offers for resolving the differences between the House and Senate versions of HF14. * Time of convening has not been set. HF2414 (Liebling) Omnibus Health and Human Services Finance bill. The 2019 Legislature must end by May 20. The last of three regular committee deadlines was April 12. However, legislative leaders and Gov. Tim Walz added a set of deadlines they say will achieve an orderly end to the legislative session. Wednesday, May 1 — the House and Senate will pass all major finance bills off their respective floors and leadership will appoint conference committees. Monday, May 6 — the governor, Senate majority leader and House speaker will provide fiscal targets to the chairs of conference committees on major finance bills. Monday, May 13 — conference committee chairs shall provide completed conference committee reports to the house of origin. There were 2,722 House files introduced during the 2017 session; 2,379 in 2015; 1,862 in 2013; and 1,761 in 2011. According to the National Conference of State Legislatures, Minnesota is the only state with a divided legislature in the 2019-20 biennium. The last time there was only one divided state legislature in the country was 1914. Follow us on social media: Twitter, Facebook and YouTube. You can follow bills throughout the legislative process by signing up for MyBills, a personalized way to track House and Senate bills by number. Find more information on how to follow House and Senate bills here. Want to contact your U.S. representative, the governor or a state agency? Click here for a roster of federal and state contacts.